Written by Burning Hearts Team on 20 August 2018 . At the end of Matthew's Gospel Jesus said, "Go and make disciples..." What did He mean by that? What is a Disciple? How do we know if we are one, or how do we become one? On Saturday, September 8th, the ENGAGE Workshop will help us to learn more about the process of discipleship, how to identify where we are and what our next step could be. Join us from 8:00 AM to 3:30 PM in the Parish Life Center to "Come and See" what the Lord wants to write upon our hearts to help all of us, the people of St. Pius, become His disciples. For more information on the ENGAGE Discipleship Workshop, visit the St. Pius X website. Check back here in the days following the event for a list of the resources that were mentioned and to download the handouts we used. These can be great tools to help you continue to grow in your journey of Intentional Discipleship and Missionary Discipleship. All downloadable resources are free for your personal use and to distribute to friends and family - we just ask that you keep our copyright information intact. We must make conscious choice to know and follow Jesus before we can draw others to him. This work of discipleship lies at the heart of Forming Intentional Disciples, a book designed to help Church leaders, parish staff and all Catholics transform parish life from within. Sherry discusses the statistical realities of where people are today, how to have "threshold conversations" that identify where a person is on their journey of conversion, and has an entire section dedicated to sharing the Great Story (the kerygma). Profound in its insight, yet warm and accessible in its tone, The Joy of the Gospel is a call to action to live a life motivated by divine love and, in turn, to experience heaven on earth. Highly acclaimed for his work with parish renewal and the New Evangelization, Fr. James Mallon shares with us the many ways for bringing our parishes to life. Mallon challenges us to rethink our models of parish life, from membership-based communities to assemblies of disciples of Jesus who proclaim and share the good news with all peoples. Divine Renovation can serve blueprint for parishes to go beyond maintaining their buildings and meeting the needs of their parishioners. He believes the key to being a Church that is alive and relevant is for parishes to embrace their mission, which is to make disciples. Compiling meditations he delivered at the Papal Household, Fr. Cantalamessa traces the waves of evangelization from the first centuries of Christianity to the present day. Diving into scientific atheism, rationalism, and secularism, he navigates through the major modern challenges that the announcement of the Gospel encounters. By mapping out the route that evangelization has taken, Fr. Cantalamessa provides readers with a compass steering them not only toward an understanding of the new evangelization, but also toward putting that understanding into practice. This reflection is designed to assist you in identifying what role God is playing the story of your life. Download the PDF. Feel free to personalize this reflection so that it fits your life. If there are sections or questions not relevant to you, feel free to skip them. This activity can evoke prayer and deep reflection. Many people find they need to find a quiet place free from interruptions in order to complete it. There are many different ways to express and proclaim the kerygma. You can find it throughout the New Testament, the documents of the Church, and the writings of the early Church Fathers. Ultimately, however you express it, the kerygma is about the person of Jesus Christ and someone making a choice to give their lives to Him - to become his disciple. There are a number of resources and tools that we can recommend to help you proclaim the kerygma most effectively to the people you have been called to evangelize. Ultimately however, the most powerful proclamation of the kerygma is the one that comes from out of your personal encounter with the life-changing power of the person of Jesus. We have created there are a number of different tools available to help us encounter, absorb, and proclaim Jesus - but this page has a few we have found to be particularly helpful for adults. We need to not only focus on the evangelization of adults and parents, but need to parallel our efforts by evangelization children. 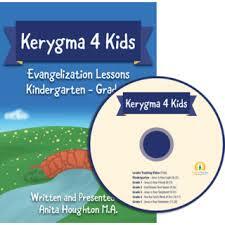 There are a number of resources and tools that we can recommend to help you proclaim the kerygma to children, youth, and teens of all ages. We all express and feel love differently, and understanding those differences can seriously help our relationships. Being aware of your love language, as well as the love language of the people around you, can improve your relationships with a boyfriend/girlfriend, your co-workers, your parents and siblings, and so many more. The Five Love Languages can help foster healthy relationships by helping you recognize your own needs as well us uncovering how to better meet the needs of the other people in your life. If you were certain that the God of the universe delighted in you, would it change your life in any way? We hear others say that God loves us, yet sometimes we may feel unloved. It could be that we are trying to receive God’s love in a language we do not speak well. Instead, consider trying to let God love you the way He created you to best receive love - through your primary Love Language(s). 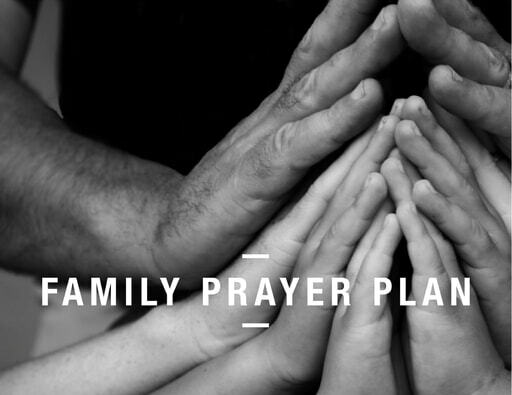 Download it today and get started identifying the where, when, and how of your personal prayer plan.